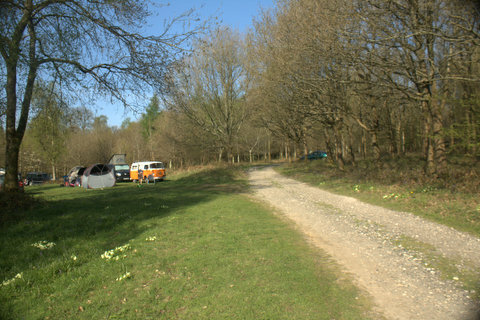 Campsite Review: Inwood Campsite, Nr Basingstoke, Berkshire. 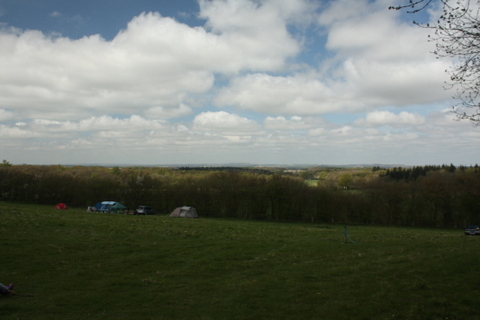 Where: Inwood Campsite, Farleigh Wallop, Berkshire. How much: £15 per adult per night. Discount for families £12.50 per adult and £5 per child per night. Fires: In firepits, encouraged to have fires in the site of previous fires, there are plenty. Firewood: Large bags of logs sold for £5 each. Delivered to pitches distant from reception by quad and trailer. 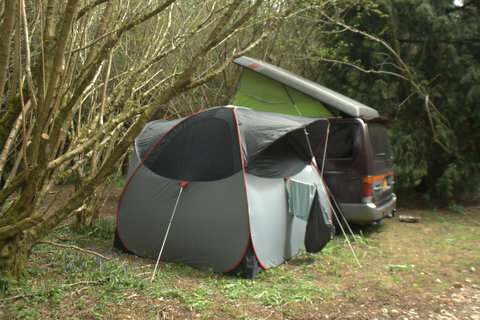 Types of camping: Tents and small campervans Facilties: Shower block and flushing toilets next to reception. Compost toilets and standpipes dotted around the site. The Review: You may, like me, be thinking ‘Basingstoke, that doesn’t sound very special’ and perhaps that is part of the magic of this place. I was expecting woodland, I was expecting campfires; but I was a little worried it might be busy, it was a bank holiday. I was a bit worried the advertised woodland might be sparse. I was a bit worried it might be a bit, well, tame. I needn’t have worried. This is not woodland, this is forest. 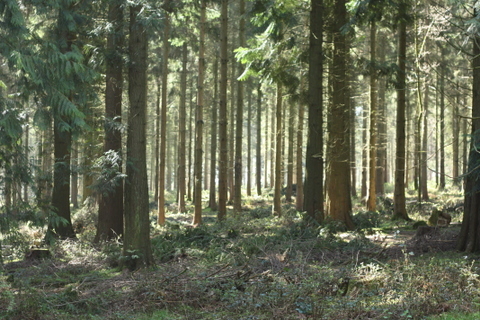 Huge towering pine trees, give way to mature mixed woodland, interspersed with copiced hazel. Tame it is not. The entrance to Inwood is signposted with a couple of small, rather unprepossessing signs. Then a longish track in until you come to a small meadow where the reception huts sit and the host greets you, suggests some possible camping areas then sends you off with a hand drawn map to choose your pitch. We had a good drive around to find a good place. The place is huge. Several metalled tracks lead through the woods, you can stop anywhere really, sometimes you will see a car pulled up onto the side of the track and if you look closely you may spot a camp hiding among the trees. 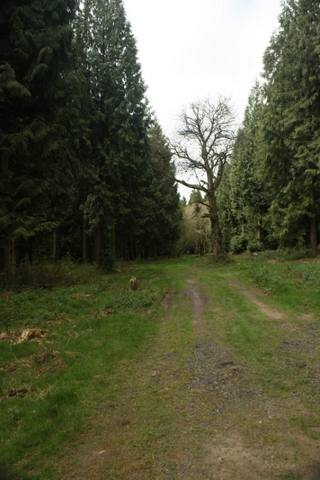 The tracks eventually lead to Small Meadow and Big Field. 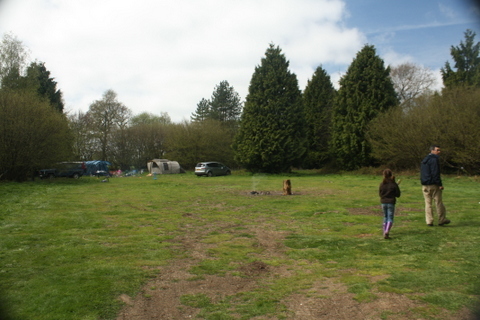 Small Meadow is like a woodland glade, space for about 10 pitches, and a tyre swing. Big Field is huge but much of it is sloping so people tended to camp along the top of the field, giving great views and a good spot for kite flying if there is a bit of wind. 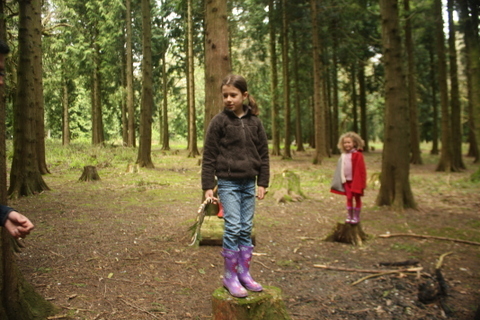 The small meadow next to reception has a rope swing, the only washing up spot, flushing toilets and the shower block. 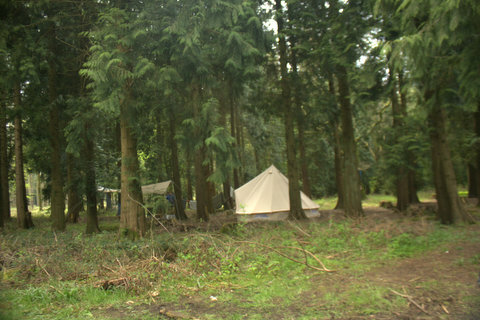 Some areas can be reserved for large groups, this would be a great campsite for family groups as it is possible to be far away from everyone else. There are various other spots to find and explore, but I don’t want to ruin all your exploring fun! There are smaller tracks heading off into different areas but beware if it is a bit wet as cars will get stuck. 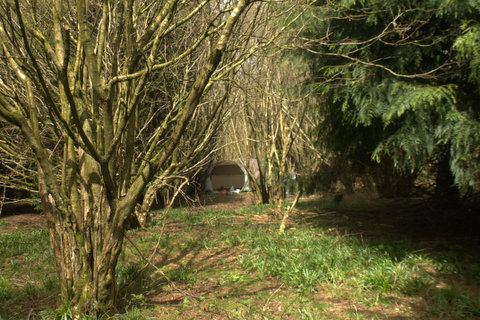 As we were in a van we could not easily camp in the trees so we plumped for pitching among the bluebells in the meadow next to reception, as Small Meadow was full and Big Field was a tad windy. I was a tiny bit gutted not to be in the woods but as the weekend turned out sunny we were actually quite pleased to be able to bask in the sun while still being able to wander in the surrounding woodland. 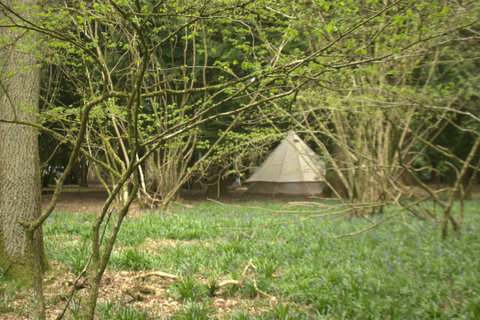 Camp was set and there followed two happy days of roaming the forest, building dens, stumbling across hidden camps in the woods, gazing at bluebells, swinging on ropeswings, and frequently saying ‘ Wow, this place is amazing!’. There are two portacabin style blocks near reception housing some decent showers and flushing toilets. In the other areas there are composting toilets and standpipes. Lots of people brought bikes with them to get around the site, the main tracks are roughly metalled. 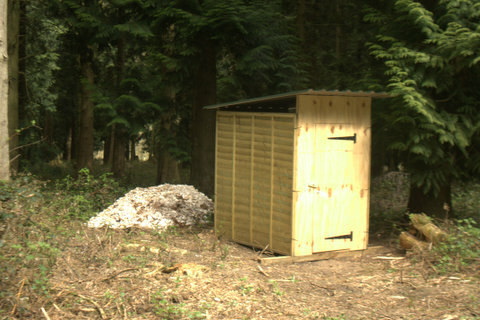 Composting toilet in the wood. So, is there anything wrong with this site? In my opinion no, not a lot. The smallest tweaks would include tarting up the reception area a little, maybe something more attractive than the portacabin buildings to house the toilets. In some parts you can hear the distant hum of the motorway which is a shame but really very easy to tune out. But that is it really. The site is very organic as it grows more pitches will be ‘made’, but I can’t imagine it will ever become overcrowded. It is wild, it is lovely. I will definitely be returning! 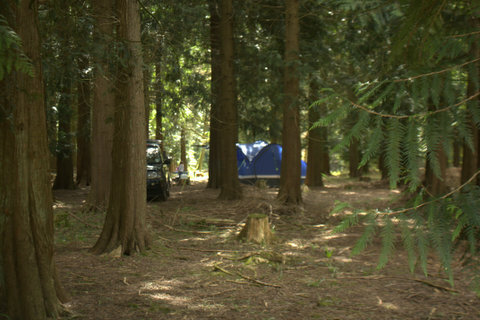 There is one more fantastic thing about this campsite, it is one of four run by the same team along the same lines. 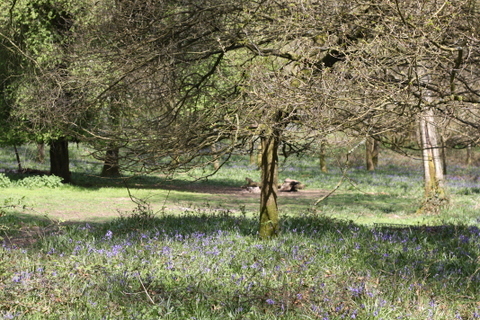 The most well known is Forgewood, near Tunbridge Wells. 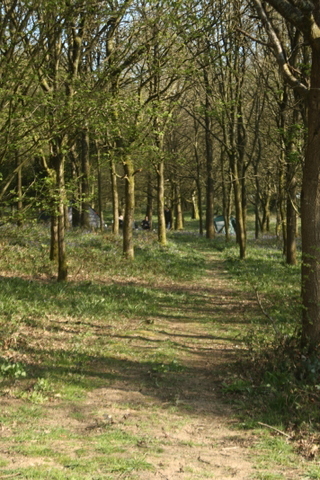 There is also Badgells Wood and Abbotstone Wood. Excellent news! That site looks lovely! The woods look fantastic. 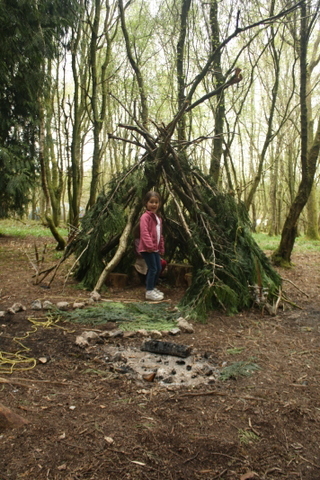 We also went camping at the weekend, we went to Petruth Paddocks in Cheddar. Only a 40 min drive from us and as we were only staying one night was perfect. It’s a basic site, with basically two fields, toilets but no showers. But the views of the Mendips and Cheddar Gorge were great. Campfires were encouraged with bags of kindling and logs sold onsite, and as it was the beginning of the season we were told we could have the campfire anywhere. Our son even got a ride on the back of a quad bike helping the owner deliver wood to other campers! Oooh. Thanks Emily. did not know fires are permitted at Petruth Paddocks. Straight onto google to check that one out!! Ha – this is really close to where we live and I have been keen to try it having stayed a couple of times at Forgewood (and loved it). I know what you mean about ‘Basingstoke’ (urgh – I usually say I live north of Winchester – is that terrible?) We may well have my husband’s 40th here later in the summer – I wasn’t sure if vans would be welcome, but clearly they are! Thanks for your comments on my Forgewood post. They do look and sound similar don’t they?! Amazing camping experiences for all. Hadn’t realised they were linked up! Thanks for sharing. We were looking for somewhere to go close to us (Oxfordshire) in a couple of weeks time, this sounds perfect! We always end up going to Britchcombe Farm, really must try somewhere new.